For situations where bulky or heavy setups need to be flown over talent on stands or arms, the lightweight Soonwell FB-21 offers distinct advantages to alternative bulkier and heavier setups. You can find LED lighting solutions in all sorts of form factors these days, from big panels to tiny, rugged dots with built-in batteries, to flexible fabric pads with LED strips on them. These pads tout “lighter” and they certainly look easier to wrangle than attaching a big softbox to a smaller light head, but are they really? I requested Soonwell’s new $320 FB-21 (Figure 1, below) for review to find out. Soonwell sent a nice little zippered, padded travel case and in it were all the various pieces for this flexible panel. I have the panel on hand to review and will be sending it back when finished. There were additional velcro pieces and a strap to attach the AC adapter to the V-Lock battery slot on the lighting controller. Each piece is well constructed and the LED lighting pad does not feel flimsy in any way. 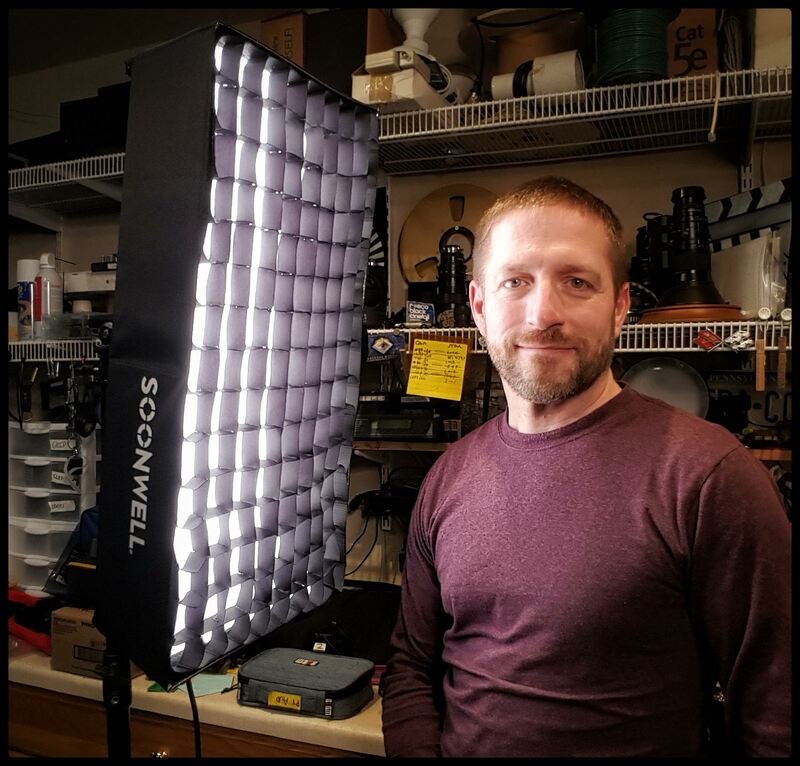 The softbox was initially confusing because it folds down into 6 segments which unfolds to cover my rectangular (4 sides) light, but I figured that out. There were some extra velcro pieces that I never did figure out where they're supposed to go. There were no assembly or operating instructions in the kit. The LED pad connects to the controller with a 4-pin cable that has a screw lock so it doesn't pull apart. 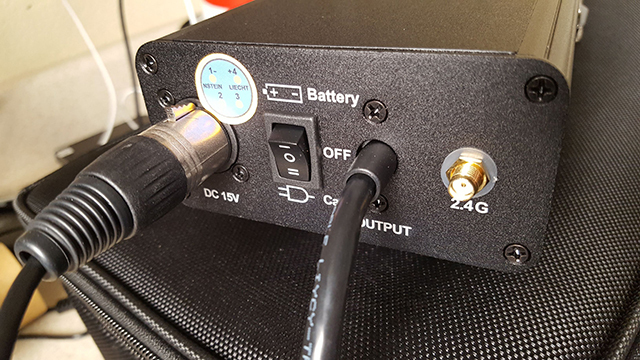 That panel of the controller also has the power switch to select between Batt/Off/AC, a 2.4 GHz SMA port for the included antenna that allows for wireless control of the LED Controller (Figure 2, below). The 4-pin 15v DC input is also in this side. The other end of the LED Controller features two potentiometers--one for color temperature, the other for the dimmer (Figure 3, below). 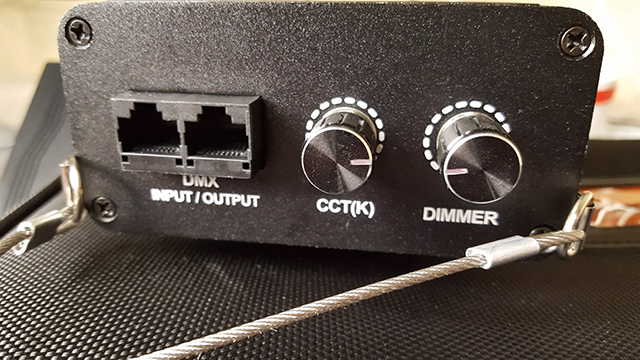 There are also two DIN ports for DMX control in and out. A rugged aircraft cable is attached at this end to allow the LED Controller to hang off a handle on the light stand. 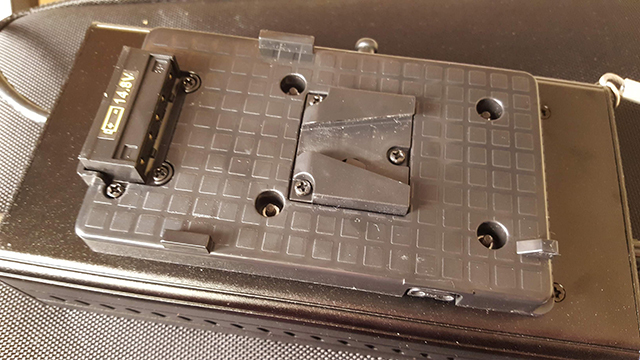 One of the long sides of the controller has a V-Lock battery plate with D-Tap (Figure 4, below). The other side has the touchscreen interface for the controller (Figure 5, below). This display has readouts for color temperature and brightness percentage. There are up and down “buttons” below these displays. They are touch-sensitive, so there’s no actual button to depress. There were a couple times I was holding the unit where my finger had slid or touched and I was changing the color or brightness without even knowing I was touching a button. 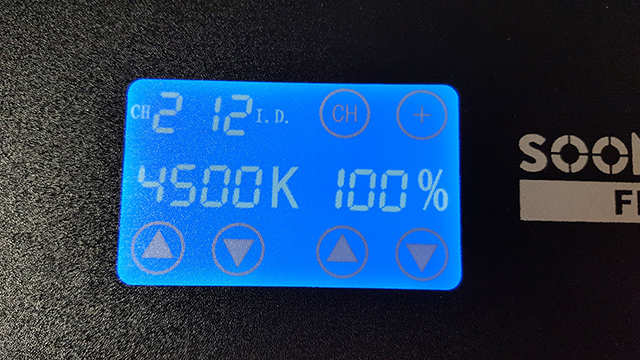 At the top of the display, it shows the LED Controller's RF Channel and unit number, along with a CH button and a + to change either of these settings. This enables the user with the RF remote to "group" several lights together and control them. You can have all your backlights adjust as one, all your key lights adjust as one, etc. Interestingly, even though the LED Controller comes with an antenna, the remote is not included. I also didn’t see it on their website as an accessory so it may not be in stock at this time.